This week's Apple shareholder meeting will be livened up by a proposal from the right-wing National Center for Public Policy Research, which seeks to have the company "review and report" on its operations in "high-risk regions with poor human rights records" after CEO Tim Cook spoke out on the Indiana religious freedom laws last year. 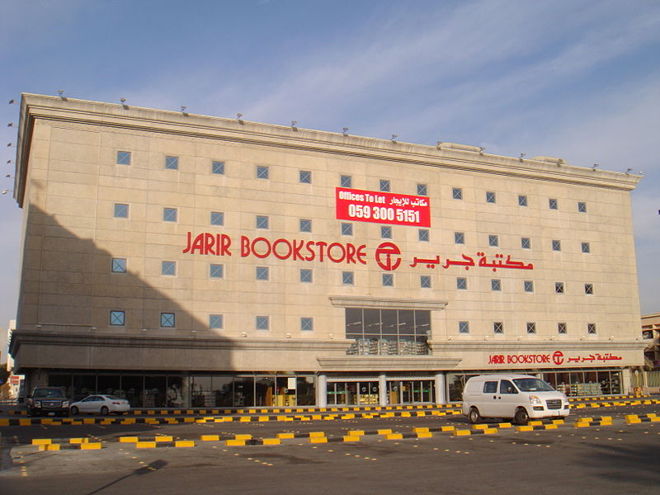 A Jarir Bookstore outlet in Khobar, Saudi Arabia. Jarir is an Apple retail partner. Apple, and Cook in particular, are accused of having "joined with the mob in trying to destroy" small religious communities. The proposal comes in response to Cook's comments on an Indiana law that would have allowed small business owners to use "religious beliefs" as a defense in discrimination suits. The proposal calls into question Apple's operations in countries like Saudi Arabia, Qatar, Nigeria and the United Arab Emirates, which it says have "questionable human rights records as it relates to suffrage, women's rights and gay rights." It suggests that shareholders should ask the company to prepare a report detailing "Apple's criteria for investing in, operating in and withdrawing from high-risk regions." "For example our CEO bashed state-level religious freedom laws as anti-homosexual bigotry saying, 'Apple is open. Open to everyone, regardless of where they come from, what they look like, how they worship or who they love. Regardless of what the law might allow in Indiana or Arkansas, we will never tolerate discrimination,'" the group says. "Yet, according to the Washington Post, Apple has a presence in 17 countries where homosexual acts are illegal. In four of those nations, homosexual acts are punishable by death. These company operations are inconsistent with Apple's values as extolled by our CEO." The NCPPR is no stranger to Apple shareholder activism. In 2014, the group unsuccessfully floated a proposal that would have Apple justify its environmental policies on profit grounds —a suggestion that drove Cook to respond that the company doesn't consider the "bloody ROI" when making those choices. This proposal requests a report on Apple's guidelines for selecting countries for our operations. We do not believe that this would be a productive use of company resources. For example, such a report would necessarily have to omit proprietary information and would therefore be an incomplete picture of our approach. Moreover, we believe that Apple's commitment to protecting and promoting human rights has already been demonstrated by both effective action and transparency about our work. Accordingly, the requested report is unnecessary and would not provide meaningful information to shareholders. Apple's shareholder meeting will be held this Friday at Apple headquarters beginning at 9 a.m. Pacific.